This movie sure hasn't lost the grand scale it had going for it in the theaters. The Battle of Helms Deep is just as exciting as ever. Maybe even a little moreso depending on your viewing environment. I myself was quite immersed. These FX are absolutely breathtaking and make me disappointed in a few other movies I know from around the same time (Spiderman 1 and 2 namely). That's how good it looks here. One realization I had when watching this was, it's been so long since I've seen the theatrical versions that I now see the extended's as the only version I even recognize. No longer am I viewing extra scenes as extra, they are simply a part of the film. Indistinguishable from the story I know and love. And that's how I believe it is for many who see no part in revisiting the theatrical versions when such superior versions exist of the story elsewhere. And I was right, got pretty bored at the Merry and Pippen nonsense. It's nothing against the filmmakers, they are just two rather bland characters to begin with so there isn't much for the audience to grab on to. 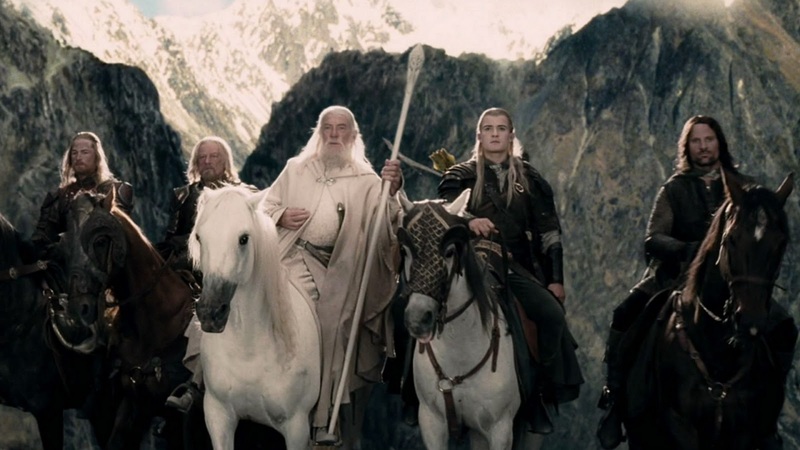 Sure, they aren't nearly as useless as they were in Fellowship, but they aren't exactly shall not passing anyone. The Legolas and Gimli stuff still works why and makes you remember why you loved those characters so much in the first place. I'm amazed at how much it feels like the budget has increased when it comes to the second film. After the first one, you could tell they had limits. But here, not a limit exists. Whatever Peter Jackson wants, PJ absolutely gets. And that's why so much of the film works splendidly. His vision is not brought down by a meager budget. If only he would have brought the same heart and humor to The Hobbit that he did here. Nothing feels quite as real in The Hobbit as it does here. I won't judge till I see the film in context of it's own trilogy (a feat not nearly as necessary as it is here for Lord of the Rings). And now onto my favorite of the trilogy. Onto one of the most epic, breathtaking films ever made.